sorry for the minimal posting yesterday and today, i am still catching up on work. 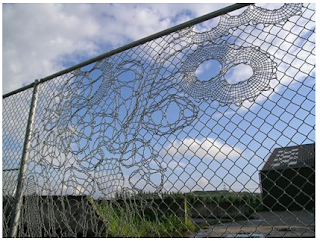 while munching on my wonderous burrito from the mexican stand down the street i found this lace fence over at design for mankind. oh you are so welcome, i love this fence, and thanks for the picture. This reminds me of the way lately I see *wedding* everywhere!